The SLS Hotel in Beverly Hills is a premier resort that offers several ballrooms and outdoor locations to ring in your marriage. 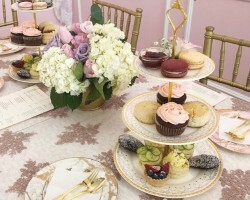 Known as one of the most chic wedding venue in Los Angeles; the SLS Hotel in Beverly Hills offers an assortment of features and amenities that you can add to your wedding. Including one of the best award winning catering team led by Chef Jose Andres who will craft and create some of the most delicious food and cocktails for your and your guests. End the night with one of SLS Hotels recommended entertainers while you boogie down on the dance floor and have the night of your life. Spend the first moments of eternity with your significant other at the Luxe Sunset Boulevard Hotel. With rooms ranging 345 sq. ft. to 4,500 sq. ft.; it is the perfect small wedding venue that you will be able to customize to your liking and utilize for your private event. Because of its size it is fairly affordable and they offer great prices on rental items. Enjoy a wonderful outdoor garden ceremony and then bring it inside to one of their breathtaking ballrooms to enjoy the rest of the evening. 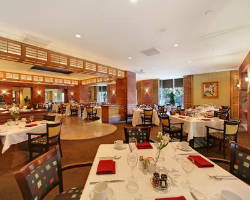 This wedding venue in Los Angeles is perfect for all budgets and a great location for smaller guest counts. In the center of downtown Los Angeles; located on the legendary Bunker Hill is the Omni Los Angeles Hotel at California Plaza. This wedding venue in Los Angeles includes the sophistication of the city but still have a charming and glamorous location. It is great for the cosmopolitan bride that loves a metro vibe to her event space but still wants to keep the reception hall classic with fun personal touches. 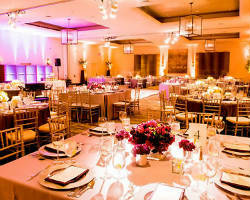 Not only is the Omni Los Angeles Hotel at California Plaza a great Los Angeles Wedding venue but it is also great for Quinceanera celebrations and corporate events alike. he Ebell of Los Angles is famous as a filming location for movies such as Forest Gump and Wedding Crashers. 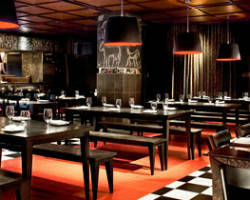 It is known in the industry as a lavish and vintage location to capture the perfect angles and scenes. Choose it as your wedding venue in Los Angeles and you too can experience the star-treatment and capture every angle and romantic scene on your wedding day. 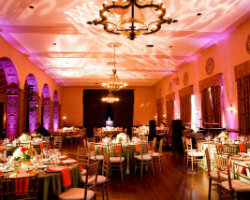 The Ebell of Los Angles is truly a masterpiece in itself and great party venue to dance the night away. Take a look at the reviews and begin to understand why so many people call this location one of the top party halls in California. If you are in search of a small wedding venue that seems customized and unique to your wedding but is really just set-up to do a quick civil union; Albertson Wedding Chapel is a great choice for you and your significant other. 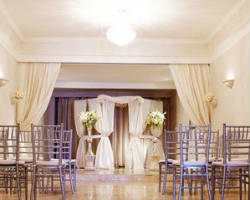 This wedding venue in Los Angeles offers some of the lowest prices, starting at only $225. If affordable is one of your main focuses but still wants to have a classy wedding; you are able to at Albertson Wedding Chapel. Have a beautiful wedding day that you can add small touches to but still stay within budget at this wonderful yet small Los Angeles wedding chapel.